The philosophy of the Robin Rice Gallery is to offer clients beautiful, timeless images that will engage the viewer, titillate the senses and transform the total atmosphere of a space. With her expert placement and collaborative work style, the Gallery helps privately owned homes as well as commercial spaces reach their visual potential by merging the past with the present while keeping the client’s mission intact. Robin Rice has a natural instinct to read her clients needs succinctly. With Robin’s extensive experience as a gallery curator, all Robin Rice Gallery endeavors are superbly managed. Whether working with corporate clients or established collectors, the Robin Rice Gallery guides patrons throughout the selection process, inspiring them to build a stylish collection or striking décor. The Robin Rice Gallery offers a bevy of styles that Robin has procured with her own signature school of artists. 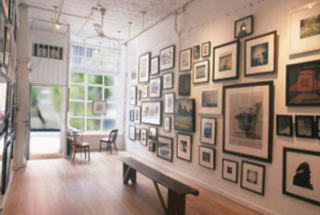 Voted Best Of New York: "Best Affordable Art Gallery" 2004 by New York Magazine.